Frustration with a crying infant is reportedly the number one trigger for the shaking and abuse of infants. In an effort to help spread awareness about normal infant crying and the dangers of shaking an infant, the National Center on Shaken Baby Syndrome is launching a national public education campaign to make tens of thousands of purple colored baby caps. The grassroots campaign called, CLICK for Babies: Period of PURPLE Crying Caps, invites knitters and crocheters across North America to make purple colored baby caps which will be delivered to families in November and December with the Period of PURPLE Crying, an evidence based program that educates parents about normal infant crying, ways to cope with the crying and the dangers of reacting in frustration by shaking or abusing an infant. The campaign will launch in April as part of Child Abuse Prevention Month. "A handmade purple cap is a great way to remind parents about the Period of PURPLE Crying and the dangers of shaking," says Ryan Steinbeigle, Campaign Director. "Last year, over 60,000 PURPLE colored caps were donated and distributed to thousands of families across North America in an effort to prevent infant abuse." CLICK for Babies, now in its second year, is a collaborative effort between the National Center on Shaken Baby Syndrome and invited states and provinces who have implemented the Period of PURPLE Crying. Oregon, Washington, Utah, Kansas, Oklahoma, Iowa, North Carolina, West Virginia, New Hampshire and Maine have joined the 2012 campaign in addition to the Canadian provinces of British Columbia, Ontario and Nova Scotia. "We are so thrilled to be involved again in the CLICK for Babies campaign," says Sandy Nipper, RN, Child Safety Program Coordinator at Randall Children's Hospital at Legacy Emanuel in Oregon. "Last Year's campaign was so successful and it was such a wonderful experience to provide all of the handmade purple hats from knitters and crocheters across the country to parents and babies with the PURPLE program." Organizers have set a goal of collecting 100,000 purple caps for the 2012 campaign. Caps will be collected from April through the end of September and distributed to babies in November and December. Knitters and crocheters are invited to send their caps to organizers in their area or directly to the National Center on Shaken Baby Syndrome. More information about the CLICK for Babies campaign, including patterns for caps, guidelines and details about the national campaign are available at www.CLICKforbabies.org . The nurses in Brattleboro Memorial Hospital's Birthing Center have reportedly been recognized by the state for having the highest completion rate of parents who went through an educational program on the dangers of shaking infants. Last year, reportedly 97 percent of the families who used the birthing center completed, and returned, their pledges, saying they watched an eight-minute educational video and promising to keep their babies safe. The 97-percent completion rate was reportedly the highest in Vermont, said Kay Shangraw, manager of the Prevent Child Abuse Vermont Shaken Baby Syndrome Prevention Program. "Some hospitals only do the video, and others just do the education," Shangraw said at BMH Wednesday. "What the nurses are doing here is great. It means they are educating just about everybody." BMH has reportedly been taking part in the statewide education campaign since 2009, and during that time Vermont has seen a significant decrease in the number of reported incidents of shaken baby syndrome. Between October 2007 and December 2010 there were 23 cases in the news or brought to the attention of Prevent Child Abuse Vermont. Of those 23 cases, six infants died. Shaken baby syndrome (SBS) or abusive head trauma (AHT) is more common than one might think. Yet it is also a preventable health issue, one that can be addressed through education and awareness. SBS/AHT occurs most commonly during the first few months of an infant’s life. This is also a time when prolonged, but often inconsolable, bouts of infant crying occur. These “bouts” are normal and an expected developmental phase. However, most parents and caregivers aren’t aware of this. Coincidentally, this stage of an infant’s life occurs at a time when parents and caregivers are adjusting to bringing home a new baby, and ultimately, experiencing stress and various emotions at a higher level and frequency. Through education and awareness, parents and caregivers can become informed about infant crying and SBS/AHT and in turn, prevent trauma from occurring. That was the idea Dr. Ron Barr and Marilyn Barr had when they developed the Period of PURPLE Crying, an evidence-based infant-abuse prevention program, first implemented in North Carolina. This unique program seeks to create an understanding and a culture shift about the normal pattern of intense early infant crying, the frustration that can accompany it and how to cope. Its overarching goal is to save infants’ lives. Its purpose is to prevent SBS/AHT, which can result in severe, irreversible, lifelong brain damage or death. No charges have reportedly been filed thus far in the death of a 4-month-old Mount Prospect girl found unresponsive last week at an unlicensed home day care center in Hoffman Estates. The Cook County Medical Examiner’s office is reportedly conducting further studies after an inconclusive autopsy Monday, Hoffman Estates Police Sgt. Darin Felgenhauer said. Anna Belle Chung, who was reportedly unconscious and not breathing when paramedics arrived the morning of April 18 at the home on the 4200 block of Crimson Drive, was taken to St. Alexius Medical Center in Hoffman Estates, then transferred to Children’s Memorial Hospital that night. She was pronounced dead at 11:44 a.m. Saturday at Children’s Memorial, police said. Meanwhile, an Illinois Department of Children and Family Services reported investigation into allegations of abuse against a care provider associated with the center also is pending, spokesman Jimmie Whitelow said. DCFS has reportedly ordered the Hoffman Estates day care facility, Sunflower Christian Montessori, to cease operating. Messages left on the Montessori day care’s answering machine have not been returned. Hospital officials reportedly told the Cook County Medical Examiner the death could be a result of shaken baby syndrome. One beautiful spring day in 2009, a senior manager at MIT's world famous Media Lab was home with his 6-month-old while his wife was at church. 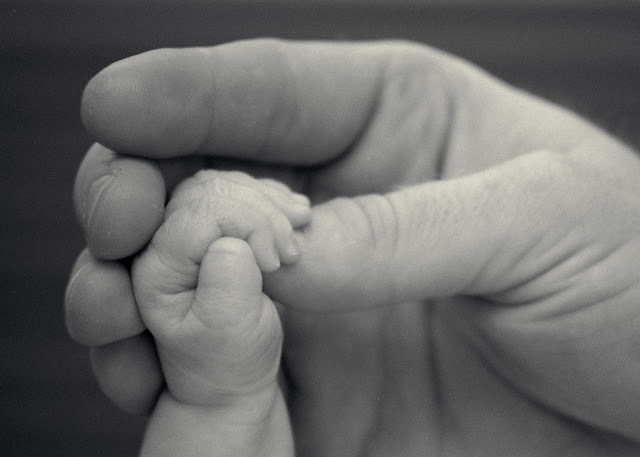 He had cared for his baby before, but that day was very different. His baby's cries made him lose control and he shook his baby so hard it caused a fatal brain hemorrhage. People tend to think of infant crying and colic as a parenting nuisance. But it is much more serious. In fact, sleep deprivation and blasting the sound of crying babies for hours are used to prepare the Navy elite SEALS to endure torture! Crying -- and the demoralization and exhaustion it provokes -- trigger a cascade of serious consequences, including marital conflict, postpartum depression, breastfeeding failure, SIDS/suffocation, car accidents, cigarette smoking, maternal obesity... and child abuse. Almost 580,000 children were reported as abused in 2008, 1,740 of them died of their injuries. In addition to this terrible human cost, the U.S. Centers for Disease Control estimates the financial cost of these abuses at $124 billion/year. Nearly four and a half years later, A Hartford Family is reportedly trying to turn a tragedy into a triumph. Henry Johnson was a baby at the center of a court case after his daycare provider was accused of child abuse. Henry suffered life-threatening injuries as a result of Shaken Baby Syndrome, but unlike many children…Henry survived. Now, his family is on a mission to make sure their story isn't repeated...and that's what makes the Johnson family Someone You Should Know. A bouncing ball of energy, 4-year-old Henry Johnson is reportedly nothing short of a miracle. When you meet Henry, his charming personality immediately wins you over. After brief introductions he grabs your hand to get a sense of who you are, and if you ask him to sing a song, it's enough to make your heart melt. But his little bits of conversation represent huge leaps and bounds. When Henry was just 6 months old, his daycare provider was arrested after it was discovered Henry had suffered severe head trauma, very corner of his brain was damaged. The lasting effects of the abuse are still evident; Henry is reportedly permanently blind and struggles with developmental delays. But new doors of opportunity open everyday for Henry. He sees around 7 different medical professionals each week, he's learning Braille and will be attending South Dakota's School For The Blind next year. And while Henry is still working to overcome obstacles; rather that focus on the negative, the Johnson's are doing their best to turn Henry's situation into something good. They've partnered up with the organization Child's Voice, to raise awareness and promote prevention. This weekend, they're hosting the first ever “Henry's Run,” a 5K dedicated to spreading the word. This week is National Shaken Baby Awareness Week. Enloe Medical Center in Chico has "Mother and Baby Education Classes" that reportedly teach parents how to cope and soothe crying babies the right way. Each year, 1,500 babies are diagnosed with Shaken Baby Syndrome. "if you ever feel that you're going to react then you need stop and put the baby down and not react. " Heidi reportedly teaches parents techniques to use to help soothe their babies, especially when situations can feel overwhelming. Cantrell says reportedly in most cases intense crying triggers the parent to lose control. She says, "you may feel overwhelmed or out of control and that's the opportunity to put your baby down into a safe place and take a deep breath, get yourself centered, allow other people to help you." Hoffman Estates Police and the Illinois Department of Children and Family Services are reportedly investigating the death of a 4-month-old girl who died Saturday, possibly from shaken baby syndrome. The baby girl, Anna Belle Chung, reportedly of East Debbie Drive in Mount Prospect, suffered injuries Wednesday at a home-based day-care center in Hoffman Estates and died three days later, said the medical examiner’s office. The unidentified person reportedly being investigated for possible child abuse in Chung’s death was also investigated by DCFS for unrelated child abuse allegations in May 2010 that were later determined to be unfounded, said agency spokesman Jimmie Whitelow. The girl’s parents are not the focus of the investigation, Whitelow said. The day-care center reportedly looks like just another single family home on Crimson Drive in Hoffman Estates. But a look through the front window makes it clear the home has been set up to be a day-care center, with small chairs and tables, play stations and toys lining the wall, cribs in the dining room. The front landing is covered with chalk drawings of trains and other images. The facility is incorporated as “Sunflower Christian Montessori,” though it appears on no list of licensed Montessori schools in Illinois. A message left on the school’s answering machine was not returned, and no one answered the door Sunday. Neighbors reportedly said they suspected the home’s owners were running a day-care center because of the number of people dropping off kids and picking them up every day. Police were reportedly called to the day-care center at 10:19 a.m. Wednesday for a report of a child unconscious and not breathing, police said Sunday. She was reportedly taken to Saint Alexius Medical Center in Hoffman Estates before being transferred to Children’s Memorial Hospital at 7 p.m., police said. The baby was pronounced dead at Children’s Memorial 11:44 a.m. Saturday. The medical examiner’s office cited shaken baby syndrome as her preliminary cause of death. Never, ever shake a baby-- we’ve heard this warning all too often because a moment of frustration can steal the life of a child. This month is Child Abuse Prevention Month, and doctors are reportedly reminding the community about the dangers of shaking a baby and causing serious head trauma. Jackie Washburn has 17 children, 15 are adopted, and two of them were reportedly victims of violent crime, and suffer shaken baby syndrome. She remembers adopting her son Steven. “He was a sweet little 6-week-old baby that had suffered a violent act of abuse,” says Washburn. And Matthew, blind and deaf, with her for over a decade, but he died. “He loved to spin, spin, spin in his bed. He would constantly be moving and one year we all got the flu,” says Washburn. Doctors reportedly say Matthew would have survived if he weren't suffering from shaken baby syndrome. Dr. Paul Grabb is director of pediatric neurosurgery at Memorial Hospital, and he says if a baby is shaken or slammed into a bed or sofa vary between brain damage or death. “Each child is different in regards to the severity, but unfortunately there seems to be an upswing in the frequency,” says Grabb. 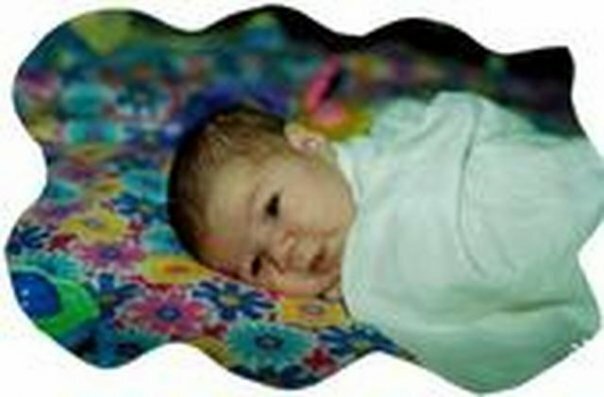 Steven is now 16-years-old and seems like a happy child, but despite Steven’s happiness, Washburn doesn't want people to forget the seriousness of shaken baby syndrome. “He is basically nonverbal, always will be in diapers, has basically lost any semblance of a normal life, and it is replaced by caregivers instead of dates and wheelchairs instead of Hot Wheels or cars,” said Washburn. Washburn and doctors at Memorial Hospital stress that there are options, and that it’s OK to leave the child safe in its crib and let it cry. If you feel like you have reached your limit, call 1-800-4-A-CHILD to get some help. A Union City mother and two others reportedly charged in the death of her infant daughter waived their first court hearings Thursday, according to Channel 2 Action News. The mother, Cella Copeland, has reportedly been charged with murder and cruelty to children in the death of the infant. The stepfather, Otis Lee Bennett, reportedly faces murder, cruelty to children and aggravated assault charges.Police charged the three family members in the death of the nine-month-old baby, who was found face down and unresponsive in her crib at home on Monday. Another family member in the household, Hetty Bennett, reportedly has been charged with cruelty to children. Police would not say how Bennett is related to the infant. The three are reportedly being held in Fulton County Jail. How does one go on after their child is murdered? How have we lived every parents nightmare and continue growing and thriving and moving through the pain? It's simple. No matter what way, the only way is to live. There is no choice in whether we can or can not, at least if we want to see our children again in whatever beliefs we may have. I have learned so much in the past 7 years, but I can assure you the most amazing thing I have learned is when I am at my lowest point, the deepest of depths, that I can do my best, I can learn the most, and I can help to reach the most people. Is it easy? No way. It is possible? Yes. Surround yourself with resources to help yourself first and foremost. Carry on your child's legacy by hosting events to help local organizations, or start your own. Reach out and find others to Network with in comparable shoes. Most importantly follow your heart, and all of those situations that you face, good or less than tolerable, go at them full force, and take everything in life as a learning experience. Not everything happens for a reason. However you can be a reason going forward that others do not have to suffer in their lives, because Shaken Baby Syndrome and Child Abuse are 100% preventable. 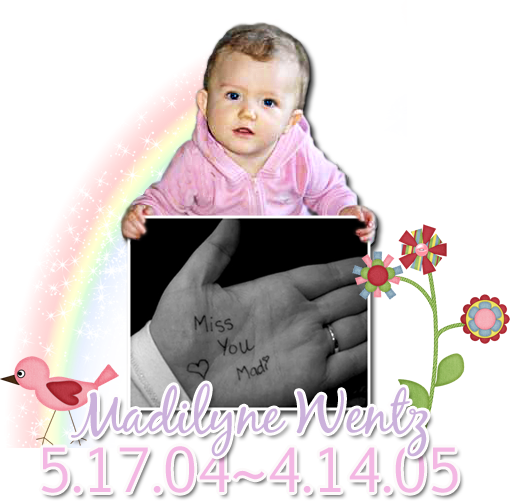 In Madilyne's Memory, and a personal desire to connect with families affected by Shaken Baby Syndrome, came forward to form The Shaken Baby Syndrome Support Network. It is simply a network derived for the families, by the families affected to provide a safe place for families affected by Shaken Baby Syndrome to gather together. It is not by any means a perfectly easy road. You can live through it, but time is the only healer and the trials and triumphs one faces in life create a new being for you to become, and reveal lives second chances. Thank you for reading the 4 parts to Madilyne's Legacy, and I hope you will continue to follow along! There is absolutely no words to put in a phrase a sentence to describe the moments following the machines being unplugged from your child. There was a solemn voice of hope inside my heart that she would continue to breathe on her own or revive herself, but the reality sank in as the shade of her skin turned a blueish gray. We sat together in the hospital room in PICU as the nurses came in to unplug Madilyne from the machines. 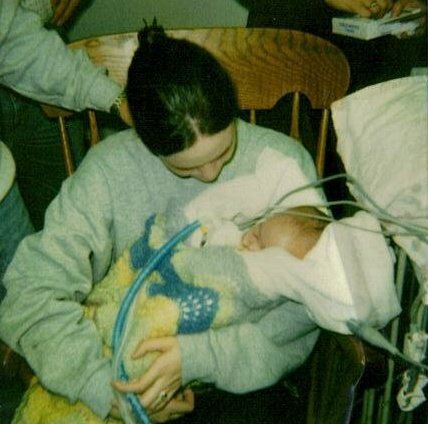 She was pronounced brain dead at 9:50am on April 14, 2005 and unhooked 5 minutes following.. I knew in my heart that if, IF, my child had to be "let go" and I was going to send her to God, tat in my arms she would remain during her flight. The machines began beeping uncontrollably, she didn't move. There was a calming peace over her face and body, and I held her as she went to be with God. It was so unreal, so surreal, the shock of what was taking place would take years to overcome, if ever. I sat there with her in my arms for a while, as others anxiously awaited to hold her, for the last time. She was flying home, home to a place where harm could never be close to her, a place where she could run again, and a place where I prayed God would place her upon his knee and tell her about me. What would I do, I couldn't move I couldn't speak, the tears ran dry as I filled a sea with them in the prior days. I knew she was safe, I was not sure how I would go on, but I knew it was through her I would find my way. Every parent's nightmare had just presented itself in front of me. I knew we had a confession from the perpetrator, but how would that carry itself out. My family took me by my hands and lead me out of the hospital. A good friend and coroner from our home town called to say he would fly down in his plane and bring her home for burial. After leaving the hospital I didn't want to sleep, I didn't want to eat, talk, ride in a car, nothing. I just went where my family asked me to, in a mode I refer to as survival mode. There was so much shock instilled in my veins, I know we drove some 4 hours home, but I do not remember the drive. I do not remember saying more than asking if my brother and his soon to be wife would be there with us for a while. Family began to arrive from near and far once we arrived home. Madilyne's Father came by my parents home to do a task neither of us should of had to do. The funeral home came over to assist in picking out her casket, the most heart wrenching task other than leaving Madilyne at the hospital knowing I had her diaper bag packed in the car for her exit rom the hospital. We picked out a casket that held meaning to us. Angels wear white and more than a few places donated burial dresses for us to choose from. A local printing company printed her funeral programs, and leading up to the funeral, family and friends came from near and far. The hurtful comments flooded in, such as "I can not attend her funeral because I can not handle it". Or friendships abruptly ended even then because others couldn't bear the truth. Neither could I. I continued to walk in a daze, in a haze of shock and disbelief and no matter what I wanted or didn't want to do I did it because it wasn't about me.. It was about my child, my daughter the love of my life. The visitation was hard, I remember standing outside most of the time, because I could not get near the casket. We had an open casket because I wanted the world to see what the monster had done to her.. It didn't look like her.. but I will never forget those last moments..
Then came the funeral. I was very thankful for the side room because I knew I would not handle anything as I thought I would and I knew I just needed to let myself go and feel and act the way I needed to for the time and the reason of that day. I ended up throwing up 3 times prior to leaving the funeral home because I could not contain the overwhelming emotions, knowing we were on our way to put my child forever in that box in the ground..
After her burial, I had often wished as the months grew on that I could have wrote on notecards, asking family and friends to leave after the burial and come back in 2 months or 2 years when the grief would worsen and their lives would go on, and make me go to the movies or make me go out to dinner, because the more time went by, the more lonely life seemed to get, because my life was still at a stand still, there were no steps forward, or getting over it, or moving past it. The worlds stopped turning, and came to a complete halt.. I never could ever forget the gracious hearts of those surrounding Madilyne and my family, but within grief it can be selfish to some that do not understand the extent of one's grief, because no matter what is happening and who is there its still lonely, and you feel alone.. because a giant piece of your heart is forever gone. Through the deepest depths I have lived to present day, but how? Part 4 comes soon, stay tuned. The silence in my ears over the course of the next 24 hours is irreplaceable. The silence when Madilyne laid in the hospital bed fighting with all her might to live through the injuries sustained April 12, 2005. Though it was some 7 years ago.. 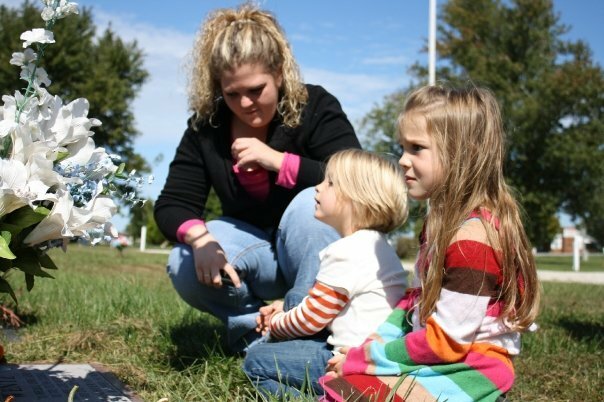 I still fight for life each and everyday..
Rachel Puckett teaching 2 little blessings about Madilyne at her grave. I lost my heart and my soul 04-14-05.. and my husband, introduced me to a love that was only a dream at the time, and is now a reality. No one ever speaks of the nightmares one has as the date of the incident creeps up every single year. You would think it gets easier as the years go by.. but I assure everyone I ever meet.. It gets harder and there are a lot more questions, and wondering, and trying to imagine the what ifs'..
During these next 24 hours, Madi laid in a hospital bed hooked to many machines.. the beeping sounds one could never forget. A program at Tulsa Children's hospital provided us with hand and feet casts we cherish to this day. All of our family and friends came from near and far to say their goodbyes, as it was on this day we were asked my the Dr. what decision we wanted to make. He only gave us 2 options, 1. being to take her off the machines, and 2. to allow nature to run its course. When we arrived the prior evening at the hospital we were told what no family wanted to hear. Madilyne was suffering from Shaken Baby Syndrome with a 1% chance of survival. 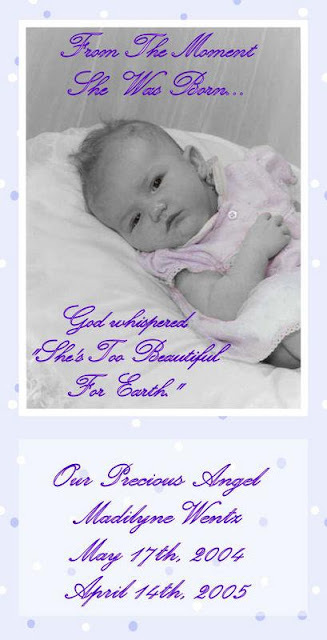 This incident was called the worst case of Shaken Baby Syndrome the hospital had seen in the State at the time.. Knowing this, and seeing Madilyne fight through the blood transfusions, the rashes she would break out in due to the medications.. It was a decision no parent should ever have to make.. I remember holding her hands.. touching her hands repeatedly.. I was too afraid to touch her, my mother leaning over to tell me it was ok, I could talk to her.. The nurse came in asking if I wanted to hold her, and I feared to, simply because I did not want to hurt her anymore than the damage done..
On this day 7 years ago we received a phone call, the licensed day care provider willingly went to the police station and gave a 2+ hour video and audio taped confession of what took place..
For those of you who do not know who I am, my name is Rachel Puckett and I am the Child Abuse Social Media Coordinator for Keane Law Firm. My time with Keane Law Firm has been nothing short of amazing. However, I come from a pair of shoes unlike any other. It has been a very long, and hard road. I have taken all the advice given to me, and handed some back when circumstances did not grant comfort, but yet hostility. Before Madilyne died, life seemed so simple, and so fresh. There was such a hope and trust, I would forever loose April 12th, 2005. As a mother whom has been to the deepest depths of life, I plan to share intimately with you over the course of the next 72 hours, a personal recount of life as I knew it, and the beautiful life God has placed before me now. Today we bring you a story of un-silenced triumph, through a story many have known, but may not have known the contributor to the story. Rachel Puckett is the Child Abuse Social Media Coordinator for Keane Law Firm, and she recently planned, as many blushing brides do, the wedding of her new dreams. 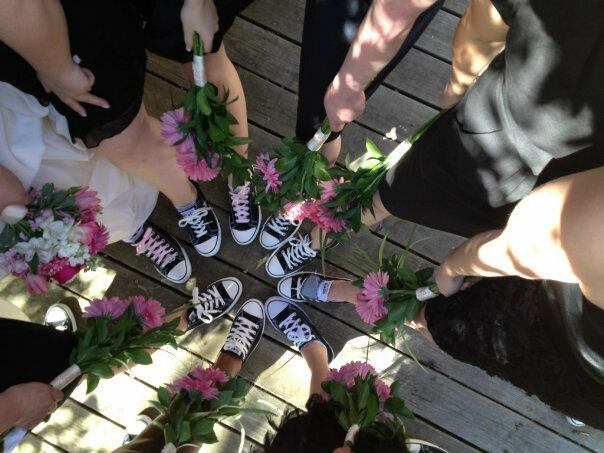 The flowers, food, the hand written vows, picking out the bridesmaid dresses, clear down to the flowers... However, there is one key factor that played such an important role in making her special day complete. 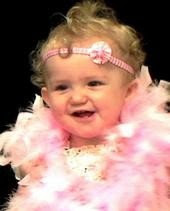 We introduce to you Sadi Workman, mother to Maddalynn Marie Lowry, victim of Shaken Baby Syndrome. The paths of two complete strangers crossed in April 2007, at the 2nd Annual Shaken Baby Syndrome Candlelight Vigil in Sarasota Florida. The event, was the first public event that strives to bring together families with shared experiences for comfort, being those that have suffered a loss or life changing experience due to Shaken Baby Syndrome. While setting up the last picnic tables at the beach gazebo, just off Siesta Key Beach, Rachel noticed a face she had not seen ever before.. Looking around she saw everyone flooding in that RSVP'd, however there was a face, she had never come across and wanted to know more. The Vigil and Event was a success from start to finish, and as the Vigil came to a close, the spark of a life long friendship came to form. This person was Sadi Workman. Going through the motions of grief, even years later Sadi is struggling to understand, comprehend why, and taking the steps to maintain a healthy being for her son she is currently raising. Taking medications of all sorts prescribed under the close supervision of a primary care physician, is definently not what she could ever have known back in September 2001. Rachel goes on to tell us, "After the Vigil when I met Sadi, we just had such an immediate bond, as both of our daughters, Maddalynn and Madilyne, were shaken to death, by someone we trusted.. and I knew our friendship would be un-ending." They would go on for the next 5 years talking back and forth on the internet, as their paths crossed one day in Sarasota Florida, Sadi would make a move to Illinois and Rachel would make the move to Little Rock Arkansas. On February 19th, 2011, Rachel received 2 of the best gifts life could ever give to her.. the chance to fulfill her dreams of marriage, and to have Sadi in her wedding in March 2012.. Those dreams came full circle March 10th 2012.. Throughout the planning process many things could raise the eyebrow of the simplest person, however not for Rachel, and not for Sadi. Dressed in a black dress, standing at the front of the room, Rachel walked in to see Sadi standing there with her soon to be husband, which could not have been pictured anymore perfect. There is a calming sense to our friendship, because we know the struggles each other has to battle. Many of our battles to fight the un-ending grief in our hearts, brings us to hours on end of phone conversations. It is not an unpleasant thing, but one of the greatest of blessings two broken hearts can have. A friend no matter the circumstance. 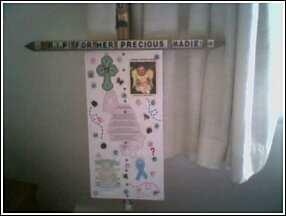 Sadi works to move through the grief, and to be the voice for Maddalynn in the best way she knows how.. Speaking of her, attending events, and ensuring that her son knows he has a sister who loves him very much. Life does not always go on the way one may hope for it to, but life does have a beauty in the way things work themselves out, even on the darkest of days. This month is a very special month near and dear to our hearts at Keane Law Firm. April is Nationally recognized as Child Abuse Awareness Month. Established in the early 1980's, April is a month so many come together to raise awareness of Child Abuse in the United States. Each month here at Keane Law Firm, we have brought to you families and organizations who go out into our community and go above and beyond to ensure the wellness of the lives of our children. We are so pleased to introduce you to Lindsey Scholar and Jessica Jackson from Stop the Shake! The Mission of Stop the Shake is "To spread awareness of Shaken Baby Syndrome/Abusive Head Trauma (SBS/AHT) in Minnesota and North Dakota, while supporting children and families in MN/ND affected by SBS/AHT". Founding Stop the Shake in early 2009, two mothers have come together to support families, and assist their communities with the prevention of Shaken Baby Syndrome, through raising awareness by their very own personal stories. Lindsey is the mother to Taylor Marie Scholar, a now 11 year Survivor of Shaken Baby Syndrome. Jessica is the mother to Luella Jackson, a now 5 year Survivor. Though their stories are their own there is one factor they have in common. 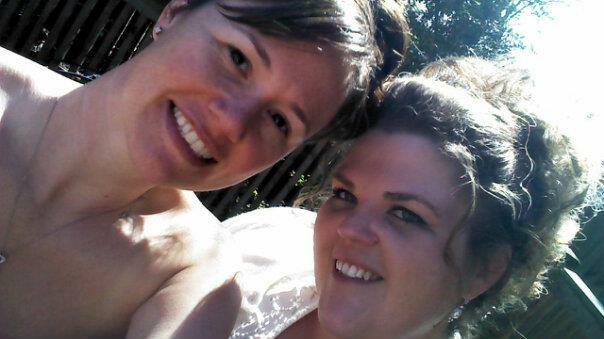 Both of their children are surviving victims of Shaken Baby Syndrome. The perpetrator whom shook Taylor, took an Alford Plea and served 4 years in state prison, and 2 years parole. Today, he is free, and has moved on with his life, while Taylor fights each day with the physical and cognitive limitations his actions imposed on her. The perpetrator whom shook Luella, received 10 years for assault and 3.5 for harassment. Going through the process and knowing that the life they each now have, will never be the life they once lived, there are certain key factors early on that truly have helped each of them. Jessica tells us that she prepared herself for the worst. She was prepared to raise a child that was much more developmentally challlanged than she is. Jessica still held hope however by expecting the worst and pushing for the best, it pushed her harder to try new things with Luella and it never gave her the false hope that Luella was going to be "cured'. Jessica also states that denial is what made it harder to push through until I changed my mind frame. Just as with the many stories of triumph, not everyone deals with changed the same. Lindsey kept busy in many areas of her life. Prayer, her Faith, the ongoing activity of Taylor's therapy, school, and doctor appointments, as well as pursuing her Bachelor of Social Work Degree. The constant activity helped keep her mind busy, and away from dwelling on the many overwhelming feelings of what had occurred. It wasnt until after she graduated from college, and Taylor was in school that she was able to begin processing what had happened, and be able to move through those feelings. However, by then, Lindsey was ready, and that was when prayer and faith were essential to her. Many families that we have spoken with here at Keane Law, have stated there is one statement that is hard to dissolve. Anyone that is outside of a tragic incident and can see what is going on, the humanly first instinct of ourselves is to think and say, "I would have never been able to live through what you have." From a mother who knows, we have heard a great example of grief, shock, and understanding to the greatest depths. Survival is exactly what both of these ladies have done, and now together to move through the horrific act of Shaken Baby Syndrome, to ensure the pain their family has endured does not have to be for someone else. For Lindsey, the key elements that have helped her along the way is the support. She tells us she has been blessed to have met and become acquainted with many "SBS Family" members through recent years, and that helps her immensely. There is nothing like the support of those who are also walking this journey. They understand when so many others do not. I also have a wonderful support system through family, friends, and local families of children with disabilities. Keeping Taylor engaged in adaptive sports and activities has helped us focus on her abilities, instead of "disability". Lindsey continues to focus on the positive, and that helps get them through each day. Lindsey has dreams for the future with Taylor. Lindsey's dream is to ensure that Taylor's life serves a purpose. To ensure that what Taylor endured was not in vain. To work the hardest I can to prevent a child or parent from enduring what we have endured, and, if there is a family who has been affected by SBS in MN or ND, that they have the direct, local support that was lacking when they started their journey. For Jessica, her faith is what keeps her going. Luella is also a very happy child. How can anyone be sad if Luella has gone through so many struggles and yet is still smiling and laughing! Jessica has set forth one dream for Luella throughout her journey. Jessica wants Luella to be able to live independently so when she is too old to care for Luella, there is no worry about what is going to happen to her when Jessica is gone. Stop the Shake was founded on February 19, 2011, 10 years to the day that Taylor was shaken. Lindsey had recently attended the International Conference on SBS/AHT in Atlanta, GA, and through that experience, Lindsey regained the motivation for prevention and advocacy that had "fizzled" over the years. She wanted to "do something". So, she started brainstorming, started the Facebook page and purchased a website domain. Jessica moved from Tucson, AZ, to within 5 minutes from Lindsey's home, and with both of their visions and motivation, things started to move in a forward direction in August 2011. For Child Abuse Prevention Month, Stop the Shake is sponsoring a Silent March, consisting of donated shoes, booties, and stories of angels and survivors affected by Shaken Baby Syndrome. The Silent March will be displayed at Sanford Health in Fargo, ND throughout the month of April, and at Essentia Health during the week of April 15-22, 2012. Stop the Shake will be educating small groups on the Leech Lake Reservation in MN on April 18 and 19, and, to round out Child Abuse Prevention Month, we will be displaying our Silent March again on April 28, as well as educating the public about infant safety as part of The Week of the Young Child. Please click here to read more about Stop the Shake! You can also get in touch with them on Facebook and Twitter! Thank you Lindsey and Jessica for sharing your amazing stories with us here at Keane Law!